SynPak polycrystalline diamond is produced by High Temperature/High Pressure sintering of micron sized diamonds to produce a solid continuous layer of diamond on a tungsten carbide substrate. 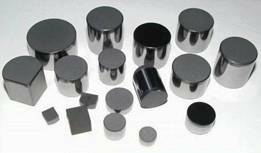 The polycrystalline nature of the material enhances the wear resistance of the materials and unlike natural diamond there is no preferred direction of wear or cleavage plane and, as result of the production process, the material is exceptionally tough. 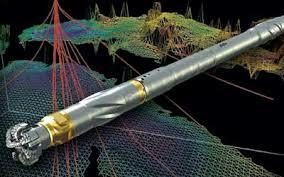 The largest market for polycrystalline diamond is in drilling applications in oil, gas and mining. SynPak PDC has been developed to meet the extreme conditions of these industries. For drilling applications, the grain size (micron diamond size) is in the range 15 to 40 micron.The diamond surface can be engineered by lapping, polishing or Electro discharge grinding to produce the required features or surface finish demanded by the application. Plain Stud cutters: the simplest design with a purely axial configuration. 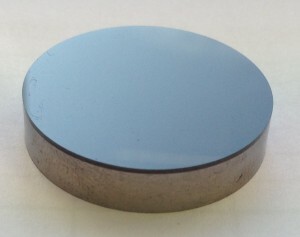 The tungsten carbide body onto which the diamond is sintered not only provides mechanical support but allows SynPak to be brazed or mechanically fixed in place.For applications where there are significant shear forces, the interface between the diamond and tungsten carbide may be “non-planar” which provides mechanical engagement of the diamond “table” with the supporting substrate this enhances the resistance to shear. Angled Stud Cutters: here the diamond layer is provided at an angle to the main body of the cutter. SynPak PCD is primarily used as cutting tool material for non-metals and non-ferrous metals. 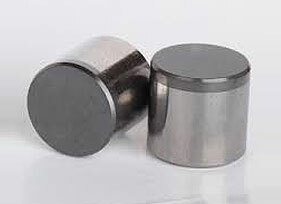 For these applications, it can be provided as complete or partial disc or as a finished shape.In addition, SynPak PCD is finding increasing use as a wear part in those industries where the particular area of interest for NDP is in wear parts and drilling bits for downhole drilling applications. 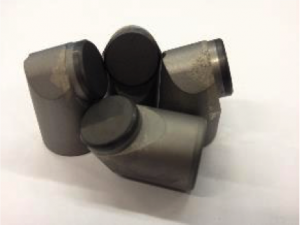 As such, the micron diamond size distributions have been optimised for drilling or erosive, reciprocating and abrasive sliding wear applications. SynPak PCD is available as a blank up to 55 mm in diameter with a range of diamond thickness up to 2.5 mm and cemented carbide thicknesses up to 15 mm. SynPak is readily machine-able by Electro-Discharge and laser Machining and can therefore be supplied in the exact shape and size required. It can be located in specific areas by brazing but where lateral forces and operating temperatures are low it can be bonded in place and NDP will advise on all aspects of location and fixing. 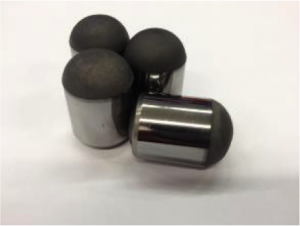 Grain sizes vary depending upon the end use for the SynPak: for heavy machining and aggressive wear applications, 20-30 micron would be recommended; for fine cutting and less aggressive wear environments, we recommend a finer distribution of 5-10 micron. The diamond surface can be engineered by lapping, polishing or Electro discharge grinding to produce the required features or surface finish demanded by the application.